If you drink green tea 24/7 you don't have to wonder if your thyroid is sluggish and your belly growing. I've alluded to the anti-thyroid effects of green tea extracts in previous articles. That simply drinking green tea (albeit excessively) would trigger the exact same effects, though, is news. News I got from a very recent study from the Zagazig University Faculty of Medicine in Egypt. The authors, Abulfadle K. A., Bakhaat G. A., Shaik R. and Tantry B. A., studied the effect of excessive green tea intake on body weight and serum thyroid hormones in male mice and compared their results to what happens if the rodents are fed only fluoride and caffeine. Athlete's Triad is not a female exclusive phen. To confirm the ill effects of excessive green tea intake on thyroid gland, the scientists measured both, the level of thyroid hormone and the weight of the thyroid of their 30 male albino mice who were divided into five groups. Control (C) group (6 mice) receiving distilled water. Green tea (GT) treated group; 6 mice were given a 5 gm% tea hot water extract as their sole water supply (that's similar to you drinking 1-2 L or more). Fluoride (FL) treated group, 6 mice were given fluorine excess solution as their only water supply. Caffeine (Caf) treated group, 6 mice were treated with caffeine (6.25 mg/kg ip | that's only 0.51 mg/kg body weight for a human and thus not exactly much). Propylthiouracil (PTU) treated group, a substance of which we know that it interferes with the synthesis of thyroid hormone, 6 mice were treated with PTU (10 mg/kg ip). Each of the five groups wass treated with the corresponding substance for 30 days, then sacrificed under ether anesthesia, blood was collected to study serum levels of T3 and T4. 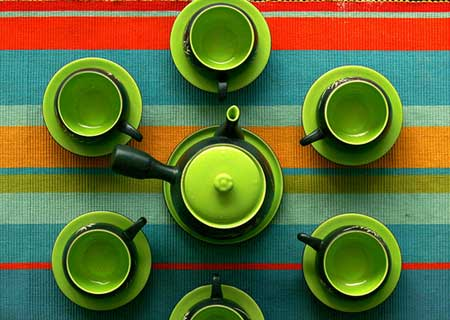 Green tea triggers weight loss only in overweight subjects (Hase. 2001). How is it possible that green tea helps people lose weight, then? 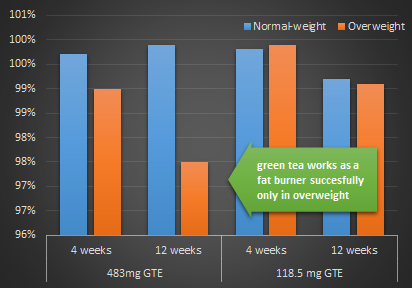 The answer is quite easy: Green tea helps obese people lose weight (Hase et al. (2001) found sign. reductions in body weight only in subjects with BMI>25kg/m² which is - in Asian terms, because the subjects were Asians - already overweight). For them the anti-inflammatory effect of green tea by far outweighs any negative effects on their thyroid function. Whether or not you can benefit from drinking green tea or using green tea supplements may thus depend on (a) your body weight and (b) the dosage (< 800mg GTE highly suggested). As you can see in Figure 1, there was the expected significant decrease in serum T3 and T4 in the PTU treated group (T3 = 0.72±0.03). Similar, albeit less pronounced decreases were seen in the green tea (T3 = 0.96±0.04) and the fluoride (T3 = 0.93±0.04), but not in the caffeine group where only the T3 levels were significantly suppressed (T3 = 1.46±0.08) in comparison to the control group (T3 = 1.71±0.05). 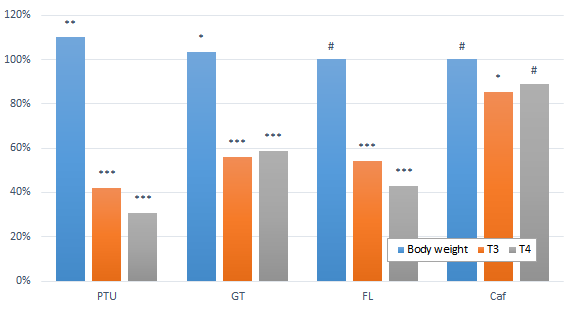 Figure 1: Effect of green tea, fluoride & caffeine on final body weight, T3 and T4 | data is expressed in % of control; *P < 0.05 compared to control. ***P < 0.001 compared to control. #P > 0.05 compared to control (Abulfadle. 2015). In conjunction with these significant decreases in T3 and T4, the scientists observed an increase of the rodents' final total body weight, but no change of the relative thyroid weight (that's in contrast to studies using purified green tea catechins, only, where the thyroid was sign. enlarged | Chandra. 2010) in comparison to the control group. 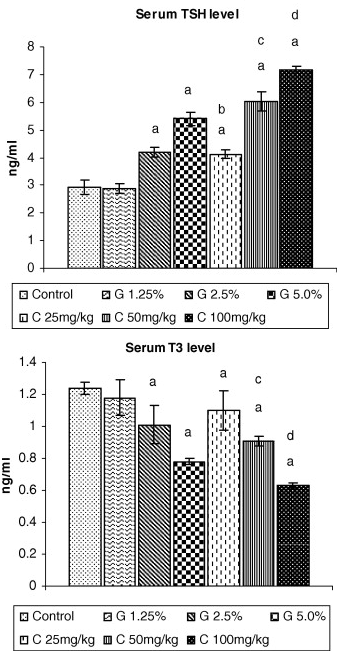 Figure 2: TSH & T3 levels in rodents with green tea (G) or pure catechins (C) in their diets (Chandra. 2010). Bottom line: While the study at hand does confirm that making green tea a primary source of your fluid intake will mess with your thyroid function. It's not absolutely clear, whether the effect is due to fluoride, caffeine, both of them or a synergy of the former with other ingredients of green tea, such as the hailed EGCG or other green tea catechins. What we do know, at least, is that EGCG interacts with thyroid hormones. Kato et al. (2011), for example, found that it inhibits the effects of thyroid hormones on bone cells. In view of the fact that many studies which have observed ill effects of green tea catechins on the thyroid all used regular extracts which may contain both caffeine and fluoride (Sakamoto. 2001, we cannot tell whether EGCG, EC, ECG & co will have a negative effect on your thyroid health if they come in caffeine- + fluoride-free form. Luckily, Chandra et al (2010) must have foreseen this problem in their 2010 study in which they found that purified green tea catechins (no caffeine, no fluoride | C in Figure 2) have even more pronounced anti-thyroid effects than green tea extracts. The independent anti-thyroid effects of green tea catechins would also exlpain why previous studies show that the effect is sign. less pronounced for black tea extracts (Chandra. 2011) | Comment on FB. Abulfadle, Khaled Abdelfattah, et al. "Effect of Excessive Green Tea Versus Fluoride and Caffeine on Body Weight and Serum Thyroid Hormones in Male Mice." 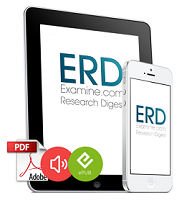 Journal of Physiology and Pharmacology Advances 5.2 (2015): 565-573. Chandra, Amar K., and Neela De. "Goitrogenic/antithyroidal potential of green tea extract in relation to catechin in rats." Food and Chemical Toxicology 48.8 (2010): 2304-2311. Chandra, Amar K., Neela De, and Shyamosree Roy Choudhury. "Effect of different doses of un-fractionated green and black tea extracts on thyroid physiology." Human & experimental toxicology 30.8 (2011): 884-896. Hase, Tadashi, et al. "Anti-obesity Effects of Tea Catechins in Humans [和文]." Journal of oleo science 50.7 (2001): 599-605. Kato, Kenji, et al. "(-)-Epigallocatechin gallate inhibits thyroid hormone‑stimulated osteocalcin synthesis in osteoblasts." Molecular medicine reports 4.2 (2011): 297-300. Sakamoto, Y., et al. "Goitrogenic effects of green tea extract catechins by dietary administration in rats." Archives of toxicology 75.10 (2001): 591-596. Wolfram, Swen, Ying Wang, and Frank Thielecke. "Anti‐obesity effects of green tea: From bedside to bench." Molecular nutrition & food research 50.2 (2006): 176-187.